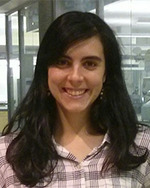 Dr Rosa Vázquez-Fresno obtained her PhD in Food and Nutrition at the University of Barcelona. She is currently working as a postdoctoral fellow in Dr. David Wishart his grouop at the University of Alberta. She is also the NMR specialist in The Metabolomic Innovation Centre, TMIC.